Standing tall in Bangkok’s central business district, Le Meridien Bangkok is a 5-minute walk from Patpong’s lively night market and Saladaeng BTS Skytrain Station. It boasts an outdoor swimming pool with a sun deck and pampering massages at SPA by Le Meridien. Featuring floor-to-ceiling windows with city views, spacious rooms are furnished with warm earth tones and digital systems. A flat-screen cable TV, iPod dock and a sofa are provided. The en suite bathroom offers a separate rain shower and bathtub. 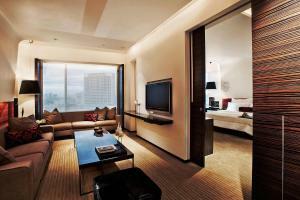 Le Meridien Bangkok is 2.5 km from Chinatown and a 5-minute train ride from the city's main shopping district. The Grand Palace is a 5.5 km drive away. 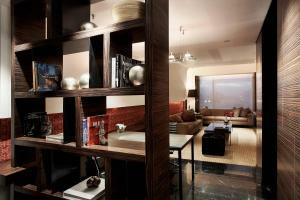 It is less than an hour’s drive from Suvarnabhumi International Airport and has free parking. 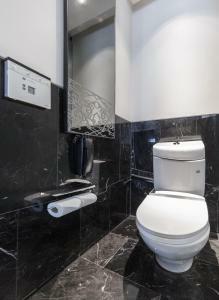 Other conveniences include a business centre, a concierge desk and 24-hour room service. Hearty breakfast buffets are served at Latest Recipe while refreshing cocktails are on offer at Bamboo Chic Bar and Latitude 13. Please note that no SPG points apply for rooms booked on Booking.com and the stay does not count towards reaching elite status. Please note that the name of the credit card holder must be the same as the guest's name and credit card must be presented to the property upon check-in. A third-party payment will not be accepted. Please inform Le Meridien Bangkok in advance of your expected arrival time. You can use the Special Requests box when booking, or contact the property directly with the contact details provided in your confirmation. Guests are required to show a photo identification and credit card upon check-in. Please note that all Special Requests are subject to availability and additional charges may apply. This double room features a sofa, minibar and seating area. Rate: THB 4611.48 ... THB 10231.50; select dates below to get current rates. This double room features a bathrobe, tea/coffee maker and minibar. This double room has a minibar, seating area and sofa. This double room has a sofa, executive lounge access and satellite TV. 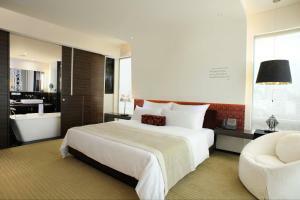 This double room features a executive lounge access, bathrobe and sofa. This double room has a executive lounge access, seating area and sofa. This double room features a seating area, dining area and air conditioning.